Is it possible to go from being a niche deathcore band who critics described as ‘unimaginative’, carrying around allegations of urinating on fans, to one of the biggest bands on the planet performing at the O2 Arena and The Royal Albert Hall? If your reply was ‘there’s no way in hell’, you aren’t fully acquainted with Sheffield’s Bring Me The Horizon. It’s very difficult to think of another group who have transformed their sound so dramatically, with such a resulting increase in success. We look back over their twelve year career and ask the question: have Bring Me The Horizon compromised their sound to sell more records, or has it all in fact been a natural trajectory towards greater things? By delivering track titles such as Stevie Wonder’s Eyes Only (Braille), debut album, Count Your Blessings, was polarising to say the least, and panned their public perception. 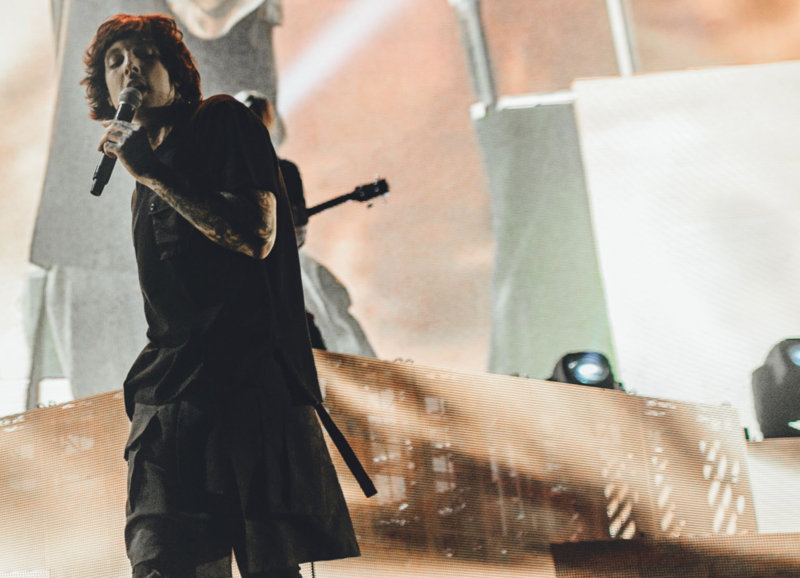 At this time, lead singer Oliver Sykes’ vocals were deliberately unsettling – either high screams that sounded as if he were being disembowelled, or deep guttural growls. While the band have distanced themselves from their 2006 debut, and virtually refuse to perform any of the songs live, it remains one of the most successful albums to ever come from the deathcore genre. It was around this time that a female fan accused Sykes of urinating on her; she also posted a photo of a facial injury, allegedly sustained from having a bottle of Jäger thrown at her forehead. The charges were dropped due to a lack of evidence, and whatever took place on that tour bus further damaged the band’s reputation, which particularly centred around Sykes. BMTH then went about recording their follow up, Suicide Season, which saw them move into a more metalcore area. In other words, the constant syncopated breakdowns gave way to a more palatable metal sound. Probably most important was Sykes’ change of vocals – the horror movie screams became more sparing, mostly replaced by a shouting style that you might use at your television screen when your football team are losing. So if these changes were subtle, it was the third LP, There Is a Hell, Believe Me I’ve Seen It, There Is a Heaven, Let’s Keep It a Secret, that announced a new sonic version of the outfit. Its brilliant lead single, It Never Ends, was a huge signal of intent: epic strings and a choir with some very clever processing. A fair amount of glitching on Sykes’ vocals added further interest. BMTH were now fully experimenting, and were going to push their metalcore sound as far as it could go. Sykes’ voice had also developed well, although sung vocals on the album called in cameos from You Me At Six’s Josh Franceschi, and Canadian singer, Lights. There Is a Hell won the band more critical plaudits, and they were now one of the most popular heavy bands in the world. Nonetheless, they were still plagued by troubles on and off stage – the band had one particularly troublesome US tour in which it appeared some people were turning up just to bottle the stage. Sykes’ reputation, deserved or not, really was preceding him. At a Salt Lake City show in 2012, he lost his cool, and invited the troublemakers on stage to fight him. Sadly, a number of attendees accepted the invitation, and chaos ensued. Thankfully, 2013’s Sempiternal healed public relations, with its daunting success. Lead single, Shadow Moses, was debuted on BBC Radio 1’s Rock Show in the UK. The main revelation here was Sykes’ ability to sing, or just the fact he was singing at all. Bring Me The Horizon’s songs were already huge in scope, and with the addition of singalong choruses, they were becoming unstoppable. The album’s opening track, Can You Feel My Heart, increased the electronica experiment – the excellent song combined rave euphoria with a huge, stadium rock riff. 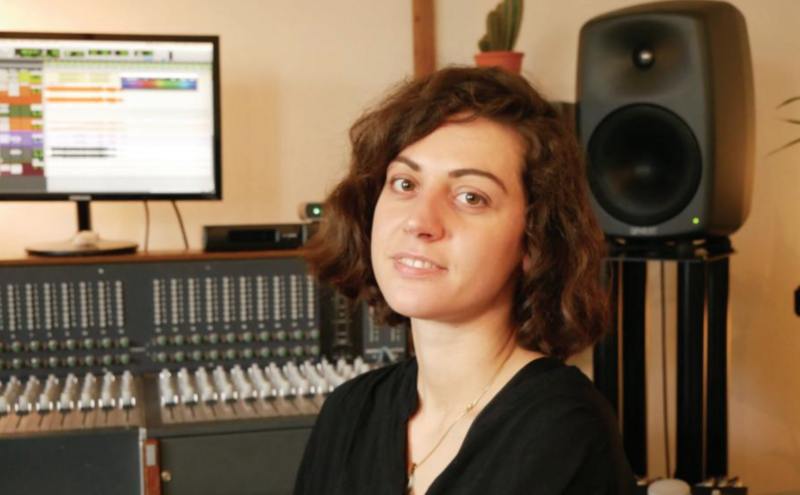 "The genius experimentation and production is still there, and the visceral edge isn’t gone." BMTH honoured their singer’s wish; in October 2014, they released Drown, marking a huge shift in sound. While Sempiternal incorporated Sykes’ sung vocals into their brutal sound, this song was noteworthy for its near complete absence of screaming and breakdowns. And yet, it was one of the hugest songs BMTH had come out with - a real anthemic track. The release of their latest album, That’s the Spirit, confirmed that the Yorkshire outfit were going all out with their most melodic sound yet. Certain tracks like Doomed even had a very strong pop influence. And in their defence, it does somehow still sound very Bring Me The Horizon – the genius experimentation and production is still there, and the visceral edge isn’t gone, particularly on Happy Song. The live performance of that track at the NME Awards saw an amazing viral moment in which Sykes climbed on top of Coldplay’s table – Chris Martin and co. were forced to flee the scene as the table gave way. As we now know all too well, artists hate being pigeonholed, and they equally hate the pressure to put out the same album again and again. And after an orchestra-backed performance for charity at the Royal Albert Hall, alongside the O2 Arena, Glastonbury, and Alexandra Palace, the gamble is paying off, no question. Let’s all raise a glass to the success of Bring Me The Horizon (provided it’s not from Coldplay’s table). Where do they go from here, one might ask? Very hard to say, but I’m sure they’ve got more surprises in store yet.